Our beloved, mother, grandmother, great-grandmother, great-great-grandmother, sister and friend, passed away unexpectedly on Sunday, September 9, 2018 at the St. Joseph Villa, Salt Lake City, Utah. Dixie was born in Manti, Utah, January 21, 1928 to Ervin Marx and Edna Anderson Marx. 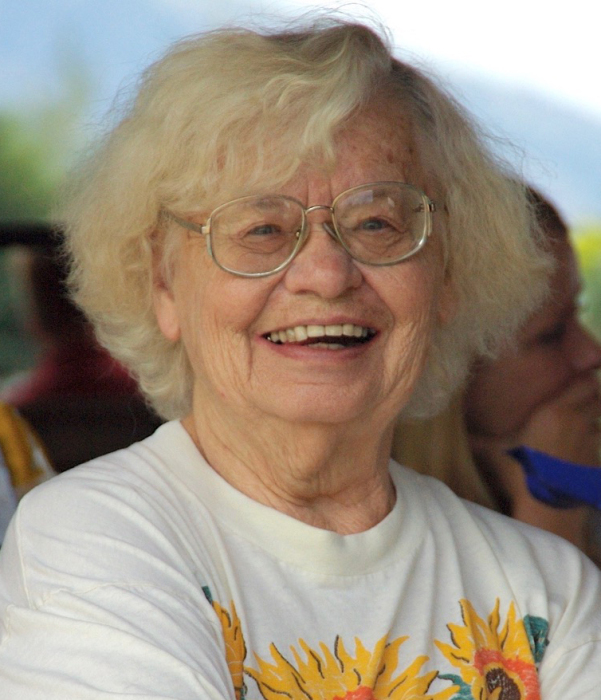 She was raised on the family farm in Sterling, Utah attending schools in Sterling, Mt. Pleasant and Manti. After high school she moved to Salt Lake City where she worked at various jobs while attending LDS Business College. She later attended the University of Utah, earning 146 credit hours with cumulative 3.6 GPA while working fulltime to support family. She loved history and excelled at writing and poetry. She married Thomas Robert Olson, son of Oscar John Olson and Pauline Bandel Olson, at the farm house on December 24, 1948. Dixie and Thomas raised five children, Jerry (1949), Robin (1950), Kevin (1954), Mickey (1957) and Danny (1958). Dixie is preceded in death by her husband Thomas, her son Kevin, daughter Robin, and sisters Sharon, Reva, and Carma. She is survived by her sisters Carol and Dolores, and brothers Ronald, Robert and Gary, 13 grandchildren and 18 great-grandchildren and several great-great-grandchildren. Dixie lived the last few years of her life in the care of St. Joseph Villa. We are eternally grateful for the wonderful care and heartfelt understanding she received from the staff and administration. Funeral services will be held at 11am on Friday, September 14, 2018 at the Grant Stake Center, 3153 South 900 East; viewing from 9:30 to 10:30am. Internment at Memorial Lake Hills Cemetery.